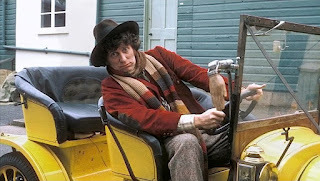 Last month I gave the low down and my opinon on the Fourth Doctor coats on offer on eBay. I had a lot of comments about the reviews, so I thought I’d take a look at some other options out there. 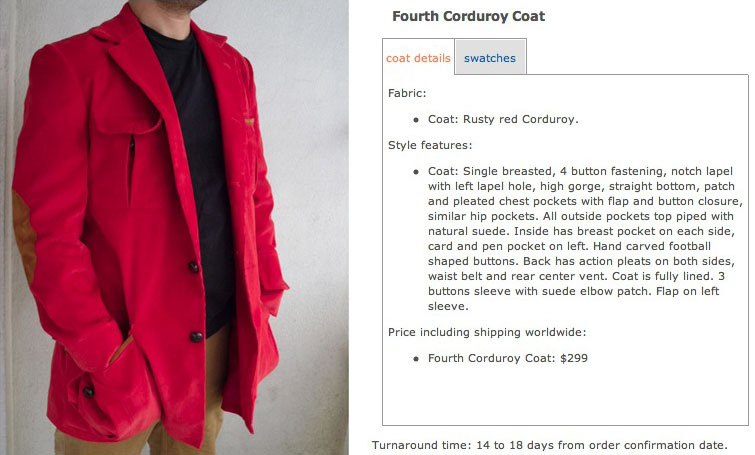 This month, Baron Boutique’s season 12 corduroy jacket. 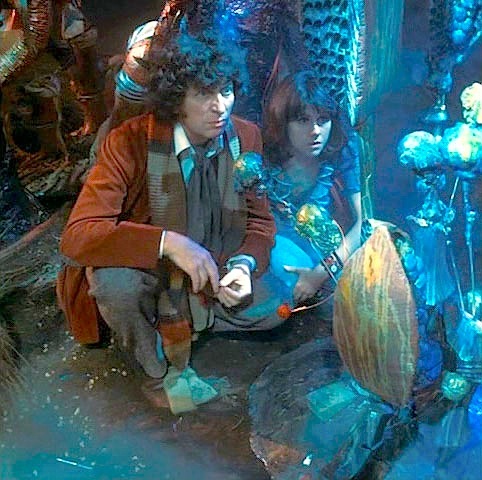 Baron Boutique are based in Nepal, and have been selling a wide variety of garments since 1998, of which their replica film and tv costumes are only a part. At present Baron offer a number of Doctor Who related clothes, of which there are two Fourth Doctor costumes. 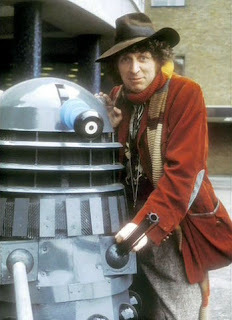 This corduroy jacket is a copy of Tom’s first costume from series 12. Straight off the colour - which is too bright and garish compared to the screen worn jacket - is way off. 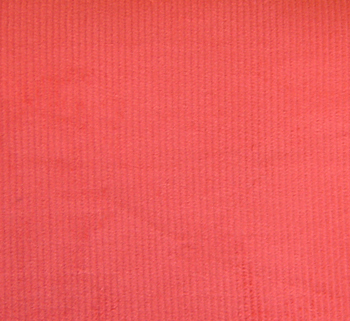 From the swatch it appears to be the right sort of corduroy fabric, though I cannot confirm this definitively. It’s a great shame they are using the correct fabric, but not the correct colour. A little more work could have lead them to the right shade of red. Corduroy is traditionally made from cotton, so takes well to dyeing. I am not sure what they have used for the elbow patches or pocket trim, but if they are synthetics it would be theoretically possible to over-dye the jacket to a better colour, but great care should be taken if this is attempted. 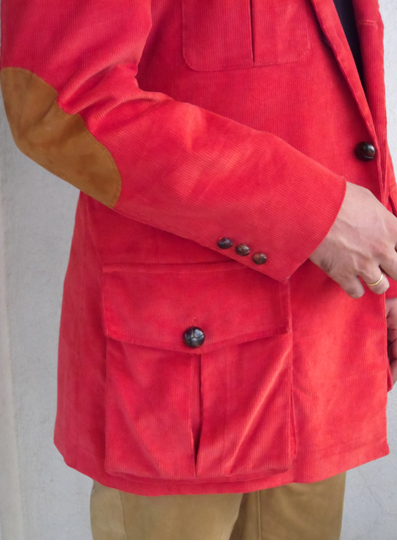 So, ignoring the shortcomings of the colour, let’s look at the structural details on the jacket itself. 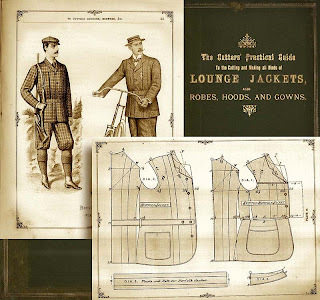 The jacket has large patch-pockets, with an inverted box-pleat up the centre, edged at the top with a brown trim, possibly leather. A flap above the pocket is closed with a leather football button. This has been very competently replicated here, though the buttons are too dark. The sleeves have charcoal leather elbow patches, but light brown suede ones have been used here. My impression is the sleeves are too narrow and trim. They look a lot looser on Tom. 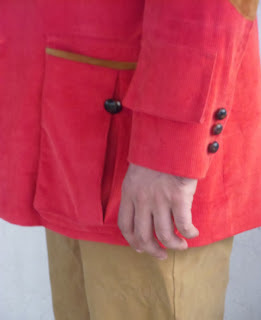 On the original jacket there is a curious flapped pocket on the forearm close to the cuff. I have not established what this pocket is for, but the jacket is based on a shooting jacket, so could be an ammunition pocket or the like. The Baron jacket has a token flap on the sleeve, but it looks twice the depth of the original and has no pocket underneath. The back of the jacket is okay, but I feel the inverted pleats are are little skimped compared to the original jacket. The collar and lapels are pretty standard, and cut well on the Baron jacket. Overall it’s a pretty good effort, though personally I feel it lacks the bagginess and character of Tom’s jacket. Baron’s work tends to be very crisply cut and slimly fitted - which is a bonus for anyone seeking a Tennant Suit, but on this occasion it goes against the finished appearance. If a better colour fabric was used, or it could be over-dyed, it would look ten times better. Asking for a looser fit, or simply giving measurements with a couple of extra inches here and there would help to. Where machine washing a jacket such as this would ruin the shape, on this it might be an idea to slacken off its tight line. As a casual jacket it would be fun to wear. I might even have a go myself at some point. I’ve seen some period Edwardian patterns in my cutter’s guides.